When reading the Koran, it is vitally important to keep in mind that Westerners, whether religious or not, and Muslims often have vastly differing frames of reference, even when considering the same individuals or concepts. 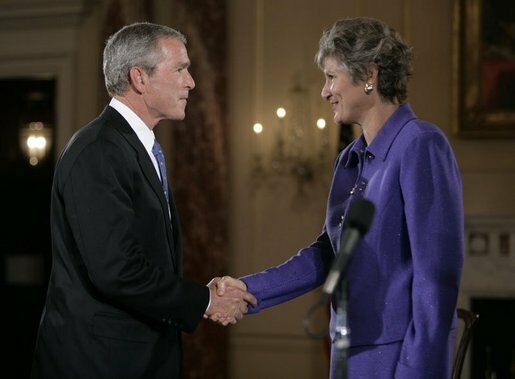 Several years ago, former President George W. Bush and Karen Hughes, his former Under Secretary of State for Public Diplomacy and Public Affairs, issued greetings to the world’s Muslims on the occasion of the Islamic Feast of Eid al-Adha, which commemorates the end of the pilgrimage to Mecca, the Hajj, and Abraham’s willingness to sacrifice his son. Thus the Koran, in the passages cited by Bush and Hughes, holds up hatred as exemplary, while belittling the virtue of forgiveness. Bush and Hughes were therefore inadvertently reinforcing a worldview that takes for granted the legitimacy of everlasting enmity between Muslims and non-Muslims — and doing so, naively, while attempting to build bridges between Muslims and non-Muslims. This demonstrates once again how crucial it is for American policymakers to have a detailed understanding of Islam’s theological and cultural frame of reference, and of the actual teachings of the Koran. For lack of this understanding, careless statements continue to be made, and policy errors keep multiplying. Is the United States today a de facto shariah state? A close look at recent events points to some alarming conclusions about the tenets of shariah law taking hold in our once-proud constitutional republic and the unwitting, unequal application of existing U.S. laws. The result is that when it comes to religious expression, Muslims now enjoy more freedom of religion and speech under our Bill of Rights than non-Muslims. Equal protection under the laws of our country holds for Muslims far better than for non-Muslims. Several recent examples illustrate this point. In October, students at a Chattanooga, Tennessee high school were told that their longtime tradition of praying at practice and before games would no longer be allowed. The school superintendent had called an end to prayer at all school functions following a complaint from the Freedom From Religion Foundation. In July, students visiting the Supreme Court from an Arizona Christian school were stopped by police as they bowed their heads and quietly prayed for the justices. The students were standing outside the court building to the side at the bottom of the building steps. They weren’t blocking traffic, but an officer abruptly approached them and ordered them to stop praying immediately. Four Christians were arrested in June for disorderly conduct at the Dearborn Arab International Festival after handing out copies of the Gospel of John. The four had stationed themselves five blocks from the festival and did not actively approach anyone, but instead waited for others to approach them. Still, police officers confiscated their video cameras and led the four Christians away in handcuffs to shouts of “Allah hu Akbar” from Muslim bystanders. In June of 2006, an instrumental rendition of “Ave Maria” was banned at the Henry Jackson High School graduation in Everett, Washington. Despite Justice Samuel Alito’s protests, the U.S. Supreme Court declined to consider whether the case was an example of censorship of student speech. In direct contrast to the above incidents, which limit Christian prayer and expression, numerous examples exist of special accommodations for Muslim activities and religious practices. These indicate an adherence to a separate and distinct policy for Muslims that mirrors the supremacist requirements of shariah law. In the State of California, 7th-grade students at Excelsior Middle School in Discovery Bay, California adopted Muslim names, prayed on prayer rugs, and celebrated Ramadan under a state-mandated curriculum that requires instruction about various religions. In 2006, the U.S. Supreme Court again declined to hear legal challenges by concerned Excelsior parents, who complained that the instruction was actually religious indoctrination and that Christianity and Judaism were not given equal time and exposure. The curriculum has been upheld as appropriate multicultural material. In May, students at a Wellesley, Massachusetts middle school visited a local radical mosque and participated in a prayer session. Parents, who gave signed permission for students to visit the mosque, were not informed in advance that students would also be bowing to Allah and listening to lectures on Islam. Surprisingly, teachers did nothing to intervene as students participated and a mosque spokesperson denigrated Western civilization while glorifying and misrepresenting Islam, even falsely referring to the greater rights of women under Islam. Astonishingly, this occurred in a state that has prohibited the sale of Christmas items, including red and green tissue paper, at a school store and forced firefighters to remove a “Merry Christmas” sign from their station. Over the last few years, the University of Michigan, a taxpayer-funded school, has provided separate prayer rooms and ritual foot baths, requiring bathroom modifications costing over $100,000, for Muslim observances. Muslims periodically block the streets of New York City, prostrating themselves in the middle of roadways and sidewalks undisturbed by police and other authorities. The resulting traffic jams are ignored, the double- and illegally parked vehicles are free of citations, and law enforcement officers are nowhere to be seen. Surely, practitioners of other religions or groups planning similar gatherings would be required to obtain permits for such an activity. Reportedly, the police have been ordered not to interfere with the Muslim prayer spectacle. These special accommodations for Muslims effectively elevate the Islamic faith above that of Christians and Jews, reinforcing the message of the Koran — “Allah proclaims Islam over all other religions” (48:28), “Islam will dominate other religions” (9:33), and “Islam does not coexist with other faiths” (5:51). Muslims are required by the teachings of their faith to conquer and subjugate non-Muslims and Ensure worldwide submission to Islam — “The believers must make war on infidels around them and let the infidels find firmness in them” (9:123). Under Islamic shariah law, Christians may not even speak to Muslims about Christianity nor provide them with any literature about Christianity. With the recent arrests of Christians in Dearborn juxtaposed with prostrate Muslim worshipers in Manhattan (where a mosque is planned at Ground Zero at the same location where a church will not be rebuilt), it appears that the principles of Islamic supremacy and prohibitions against Christian proselytizing have begun to gain traction in America. Meanwhile, Christianity in America is withering as Bible study is eradicated in public schools, crosses are removed from the public square, and “winter holidays” replace Christmas celebrations. Remarkably, as Christianity is being dethroned and denied public expression, Islam is being unabashedly and openly promoted in what has been a Christian country for over two hundred years. It is truly remarkable that as American students chant prayers in Arabic in California’s classrooms, Christmas music and graphics that refer to both Christmas and Chanukah are prohibited in New Jersey. Further, the First Amendment, free-speech rights of non-Muslims are being curtailed amidst the demands of Muslims who operate under few constraints. While non-Muslims are self-censoring out of fear and being shut down by authorities, Muslims enjoy almost unfettered rights to speak out. For example, leading up to the 9th anniversary of the Muslim attack on 9/11, Pastor Terry Jones of Florida announced that he would burn the Koran in protest of the proposed Ground Zero mosque. Not only was Jones’s life threatened by Muslims, but an Obama administration official asked him to cancel his plans. New York Governor David A. Paterson commented in response to Jones’ threat: “More and more, particularly this year, I feel that the memory of those who were lost is being disrespected.” However, Paterson did not criticize the Muslim threat on Jones’ life, nor the plan itself to build a mosque over the remains of the victims of Islamic terrorism killed on 9/11. While Pastor Jones was punished by the loss of his mortgage and insurance and was presented with a bill for $180,000 for security by the City of Gainesville, Muslims avoided any public opprobrium even though twenty innocent people around the world died during Muslim protests against Jones. Like the response to the Danish Mohammed cartoons years earlier, the Koran-burning activity was suppressed and censured as disrespectful to Muslims. It was even compared to the burning of churches and synagogues. Yet Muslims who threatened violent reprisals against Jones were not warned that attempts to curtail First Amendment rights and even mayhem, assaults, or murder would not be tolerated and would be punished to the full extent of the law. In another instance of free speech rights violations, when New Jersey Transit Authority (NJTA) worker Derek Fenton burned a Koran near Ground Zero on 9-11, he was promptly removed by authorities as much for the perceived insult to Islam as for his own safety. The very next day, he was fired from his job of eleven years. In October, NPR reporter,Juan Williams was fired for expressing on Fox News a fear shared by the majority of Americans in a post-9/11 world — his discomfort about being on a plane with people who dress as conservative Muslims. Thanks to pressure from CAIR, a Hamas-supporting, extremist-linked organization, Williams was punished for this thoughtcrime and, without first talking to Williams, an NPR spokesperson broke the news on Twitter. Ironically, CAIR spokespersons are regular guests on NPR programs. Cartoonist Molly Norris was forced to disappear after declaring April 20 “Everybody Draw Mohammed Day.” Norris ignited a religious firestorm with radical Islamic cleric Imam Anwar al-Awlaki publicly ordering her execution. Under FBI recommendations and at her own expense, Norris went underground, changing her name and identity. She is no longer publishing cartoons at the publication where she has been a regular contributor. Whereas Norris was forced to enter a witness-protection program in response to a fatwa against her, Islamic leaders enjoy unlimited freedom to spread their messages of hate within the United States. Some even receive protection at taxpayer expense, as did Feisal Abdul Rauf, an Egyptian-American Sufi imam who plans to build a mosque at Ground Zero. Rauf is closely associated with the Muslim Brotherhood and Muslim Brotherhood organizations, endeavors to supplant U.S. law with shariah, and refuses to condemn jihadist groups and terrorism. In addition, he refused to sign a pledge revoking the mandatory death sentence for Muslim apostasy, has encouraged U.S. government officials to negotiate with the terrorist group Hamas, and blames the United States for 9/11. Imam Rauf, who created the Shariah Index Project, which rates countries around the world on shariah compliance, has said that he believes in shariah supremacy. Tariq Ramadan, a highly controversial leader in the fundamentalist Muslim world and the grandson of the founder of the Muslim Brotherhood, Hassan Al-Banna, visited the United States in April. As a keynote speaker at the Hamas-supporting Council on American Islam Relations and as a speaker before another Muslim Brotherhood organization, the Muslim American Society, Ramadan refused to condemn the shariah law provision that calls for stoning women for alleged improprieties or to denounce suicide bombing. Ramadan is suspected by U.S. intelligence of having ties to al-Qaeda. He espouses amicable messages of peace and respect when speaking with Western audiences, while endorsing Wahhabism and spreading hatred of the West to Arabic-speaking audiences. Even Muslims targeted by our own government for their crimes receive protection. Anwar al-Awlaki, dubbed the “bin Laden of the internet” and suspected of having prior knowledge of 9/11 by having met privately with two of the 9/11 hijackers, has been defended by the American Civil Liberties Union. After President Obama approved placing Awlaki on a government assassination list, the ACLU initiated a lawsuit against the U.S. government challenging the order to kill him. This despite Awlaki being on the FBI’s Most Wanted List and his having met and corresponded with Major Nidal Hasan, the Fort Hood assassin. He trained the Christmas underwear bomber, Umar Farouk Abdulmutallab, and was the inspiration for Faisal Shahzad, the attempted Times Square car bomber. In a recent video delivered to CNN, Awlaki stated that Muslims are obligated to wage jihad against the United States. Nine years after 9/11, in contrast to protections enjoyed by Muslims, individuals perceived by Muslims to have damaged Islam in some way have been threatened, fired, and publicly censured. This development indicates how far we have come down the road to dhimmitude, a subservient status in relation to Muslims. Clearly, if Norris had organized a Draw Jesus or Draw Moses Day, her life would be very much intact. If Juan Williams had talked about his fear of fundamentalist Christians, he would still be an NPR host in good standing. Had Jones burned the Old Testament, twenty people murdered by Muslims jihadists would still be alive, his reputation would be untarnished, and his financial situation would be undamaged. Had Derek Fenton burned a copy of the Old or New Testament, it is unlikely that the NJTA would have taken any action against him. We are witnessing a transformation of American society in which Islam enjoys a privileged place among the country’s religions. The sensitivities of the country’s 3 to 5 million Muslims are considered above those of non-Muslims. Non-Muslims even assist sensitive Muslims in the weeding out of potentially offensive statements or actions that could be remotely critical of Islam or Muslims. Since 9/11, Americans have been well-trained not to talk about Islam and terrorism or to use the word “jihad.” Publicly criticizing, voicing concern about, or even expressing fear about Muslim behavior or activities is forbidden. While other religions may be freely criticized, lampooned in cartoons, and denigrated by artwork, Islam is sacred, supreme, and beyond reproach. Every effort is made in the United States to accommodate Muslims and engage them in interfaith dialogue and community affairs. Muslims may pray openly in public — on city streets and in airport terminals. Many U.S. government departments hold Iftar dinners to celebrate the end of Ramadan. The Ground Zero mosque will be built over the ashes of 9/11 victims, but the St. Nicholas Greek Orthodox Church that was destroyed by Muslims will not. Non-Muslims enjoy no such privileges or special treatment in Muslim countries. They may not visit Mecca nor build churches or synagogues. U.S. forces stationed in Saudi Arabia are prohibited from wearing visible religious symbols. The foregoing examples, not exhaustive by any means, point to the fact that we are living under a de facto shariah law system in the United States today that has compromised the freedoms we have enjoyed under our Constitution — freedom of religion, freedom of speech, and freedom of the press. Now, we no longer enjoy equal protection under the law. Our uniquely American virtues of tolerance and freedom have worked against us to produce intolerance and oppression. This has led to the stealthy introduction of shariah law and a climate in which criticisms of Mohammed and Islam are no longer possible without serious repercussions. Instead, claims of Islamophobia and anti-Muslim bias are rampant. Yet consider the following: the Muslim atrocity of 9/11, the attempt by the Nigerian Muslim Abdulmutallab to detonate plastic explosive in his underwear on a Northwest Airlines flight in 2009, the massacre of thirteen soldiers at Fort Hood by jihadist psychiatrist Nidal Hassan in 2009, the failed bombing of Times Square by Faisal Shahzad last May, the violent jihad plot in North Carolina planned by Daniel Patrick Boyd, the recent storming of a Baghdad church and murder of 58 Christians, the UPS plot to bomb synagogues in the Chicago area uncovered this past weekend, and countless other incidents over the past several years. It is not irrational and biased to fear practitioners of a religion who are trying to kill non-Muslims based on teachings from their religion’s doctrine. Apologists for Islam whitewash these events, but Islamic teachings (Reliance of the Traveller, o4.9, p. 590) specifically state that a Muslim’s life is worth three times that of a Christian or Jew and fifteen times more than that of a Zoroastrian. (The Consulate General of India, Jeddah lists indemnities for Hindus and Buddhists at 1/15 that of Muslims). When non-Muslims so much as express any discomfort with Muslims and Islamic ideology, they risk public censure, financial ruin, loss of livelihood, and even death. he United States is truly under shariah law when it is forbidden and a punishable offense to call out Islamic doctrine for what it is. Ein engagierter Haufen von 100 bis 120 Aktivisten aus halb Europa hatte sich auf einem Areal nahe der Metrostation “Isolatorweg” eingefunden, um mit einer “Free Speech Rally” auf die Gefahr des neuen, diesmal importierten Faschismus unter dem Mantel des Islam aufmerksam zu machen. Das Gelände sei “das sicherste” hieß es von offizieller Seite und in der Tat war die holländische Polizei vorsichtshalber mit großem Aufgebot an Mensch und Material angerückt und hielt von Anfang an die aufmarschierten Antifa-Grüppchen konsequent in Schach. Eröffnet wurde die Kundgebung von der EFI (Europäische Freiheitsinitiative) mit einer Rede des bekannten Islamkritikers Michael Mannheimer während sich die reichlich vertetene Presse auf jeden Redner, Teilnehmer oder Störer warf, um möglichst Sensationelles zu entdecken. EDL-Gruppe, wurde ans Mikrophon gedrängt und gab ein spontanes, bewegendes Statement ab, dass es “ein schwarzer Tag” für die Demokratie sei, dass die Polizei unter dem Vorwand die Sicherheit der anwesenden EDL-Gruppe nicht mehr garantieren zu können, diese von der Kundgebung verweisen wollte. Die EDL sei angereist um friedlich für Freiheit und Demokratie zu demonstrieren und hätte bereits auf Ihrer Anfahrt in ihrem Bus mit zerschlagenen Fensterscheiben das Recht auf Versmmlungsfreiheit bezahlt. die in ihrer Verblendung teilweise gar nicht erahnen, mit wem sie da eigentlich paktieren und in welchen Abgrund ihre Reise Europa führen würde. Weitere Sprecher (Alain Wagner, VVD Frankreich; Paul Weston, IFPS) setzten sich mit den Gefahren des Islam auseinander, wobei das unglaubliche Schicksal der von der österreichischen Justiz verfolgten Elisabeth Sabaditsch-Wolff allen Teilnehmern noch einmal klarmachte, dass der Multikulturalismus um jeden Preis, auch um den von Unfreiheit und Meinungsdiktatur, durchgedrückt werden soll. auf den Heimweg machten und nur noch einzelne Spuren an die Versammlung und den riesigen Polizeieinsatz erinnerten. But how can we not criticise Islam? Can our politicians really protect it as a religion and therefore place it out of legal reach? When homosexuals are hung from cranes, is this political Islam in action or religious Islam? When adulterous women are buried up to their shoulders in sand and stoned to death, is this political Islam or religious Islam? When Muslims who wish to leave Islam are issued with death sentences, is this political Islam, or is this religious Islam? When wives and daughters are slaughtered to protect their families’ honour by husbands fathers and uncles, is this political Islam or religious Islam? If it is political, then it must be denounced as evil and barbaric. If it religious, how can it possibly not be denounced as the same? What is evil is evil and what is barbaric is barbaric and cannot be exempted from criticism because it is sheltered by the word “religion”. In criminalising free speech, our socialist leaders reveal their dictatorial ambition. The mark of a free society is freedom of speech. To take this away is a totalitarian act, made all the worse because freedom of speech is our only defence in the peaceful opposition against the foreign totalitarian ideology of Islam. And I hope this irony is not lost on you. In order to protect and advance a foreign totalitarian ideology, our own rulers are prepared to adopt native totalitarian means to stop us defending our democracy and our freedom. The West lives in accordance with the European Convention on Human Rights. Islam does not. They signed up instead to the Cairo Declaration on Human Rights in Islam. But they have a very important caveat: when sharia law collides with human rights law, guess which law prevails? Quite so. Sharia is the top trumps when it comes to human rights. And when our politicians today excuse Islam as a religion of peace and allow them to set the rules both at home, at the European Union, and at the United Nations, then our politicians are betraying their countries and they are betraying their people. They are committing treason. “Can one commit treason in a time of peace?” people may ask. But are we really at peace? We may not consider ourselves at war with Islam, but Islam considers itself at war with us. And it is a war we are losing. Territorially, demographically, politically, and democratically. In fact, it is a war of aggression on two fronts. Radical Islam on the one, and left-wing treason on the other. Our children are told to celebrate multiculturalism and Islam, without being told the real history of violent expansionist Islam. Any government that does this to its own people, to its own children, is a government that deserves, manifestly deserves, to be overthrown. Can anyone really argue that a government that praises the foreign invader whilst psychologically and legally stripping away the defences of its people is a government that is not guilty of treason? Now here we come to a more uplifting part of this depressing monologue, because in this part of the battle we are advancing. Slowly, admittedly, but relentlessly, and I think we are now unstoppable. Geert Wilders here in the Netherlands, René Stadtkewitz in Germany, whose immediate popularity caused Angela Merkel to make an abrupt U-turn and denounce Multiculturalism. The Sweden Democrats, Heinz-Christian Strache in Austria, the Swiss People’s Party, and in England we await a political movement to pick up the baton from the rapidly growing English Defence League. And that growth can only accelerate. As more and more people become aware of Islam and become aware of the depth of treason perpetrated by their liberal rulers, and most importantly, as people lose their fear of being labelled a racist — which was a label specifically designed to strip us of resistance against a racially designated invader who uses race as a weapon. In fact, let us deal with this “racist” label right now. It is not racist to defend your country against an obvious and growing threat. It is not racist to defend your culture, your heritage, and your traditions. It is not racist to work to ensure a democratic future for your children and grandchildren. If you choose not to defend your country, your culture and the democratic future of your children, then you may well pat yourselves on the back in your non-racist champagne socialist cocktail bars in Islington; you may well love other people’s anti-racist credentials almost as much as you love your own; but there is no getting away from the label I have for you. You are a traitor and a betrayer of your country, a betrayer of your culture, and a betrayer of our yet unborn children. And you are a racist, indeed a genocidal racist. Young native Europeans will become a demographic ethnic minority within their own homelands if immigration rates and birth rates stay the way they are for just one more generation. This can politely be called population replacement. More crudely, it is bloodless genocide. The United Nations is very clear on this. Their definition of genocide is as follows. Quote. In the present convention genocide means any of the acts committed with intent to destroy, in whole or in part, a national, racial or religious group. And one of the saddest aspects of this betrayal is the effect it has had on those old ex-warriors who fought for their countries in recent living memory. Yes, Mr. Henshaw, I am afraid you have, and all of you socialist/liberal/left-wing people need to know what you have done. You need to take a walk around your cities, towns and villages, take a look at the hundreds of thousand of graves standing as testament to the ultimate sacrifice made by our young men in order that you may live in a liberal democracy today. The betrayal of our yet unborn, who, unless we stop it seem set to inherit a country racked with tribal and religious hatred, which must inevitably lead to a continental scale multicultural war that will make the break-up of Yugoslavia look like a bun-fight. And, of course, it is also the betrayal of freedom and democracy. Because freedom and democracy did not just magically appear. They evolved over two and a half thousand years, rooted in Greco-Roman Judeo-Christian ancestry. And were fought for and defended with much blood and sacrifice. Democracy and freedom are not the personal possessions of socialist politicians to be handed away, without our agreement, to the descendants of a 7th century desert warlord, who view our attachment to democracy as just a weakness to be used against us. I do not blame Islam. Fundamentalist Muslims are just doing what it says in the book. You may well hold the levers of power at the moment, but we are on the rise and we are unstoppable. Do you seriously think you can do what you have done to your own people without repercussion? You could stop this now if you chose to, by the simple expedient of putting the interests of your own people before the interests of Islam. But you won’t do that will you? So you put us in an almost impossible position. If we do nothing we must accept our children and grandchildren will one day live under sharia law. And if we do something, then it must by definition be revolutionary. But we did not start this. You did. Most of us would have been quite happy to mow the lawn, hold down a mundane job, and pay our taxes. We might not hold power today, but given another decade, we will, and then we will hold you to account. You will appear before a Nuremberg-style court, and you will be tried for treason, and you will be tried for crimes against humanity, and for the first time in a very long time you will be answerable to us!